“[Sport] is a powerful tool for progress and for development,” according to UN Secretary-General Ban Ki-moon. In post-genocide Rwanda, Felicite Rwemalika’s work is an embodiment of this idea. She has forged opportunities which have brought increased wealth and skills to women and their families – all by getting women to play football. Rwemalika used to run a beauty salon, where she encountered many women who were traumatised by the genocide. “Women are the most vulnerable after the genocide. They were raped several times, their husbands left them, they were killed, children were killed, and they didn’t have hope for the future,” she says. Before the genocide, football for women was unthinkable. And old attitudes die hard. But there were also authorities which wanted to support change and Rwemalika was able to persuade the city of Kigali to support girls’ football teams – and even pay them a wage which enabled them to stay in school. 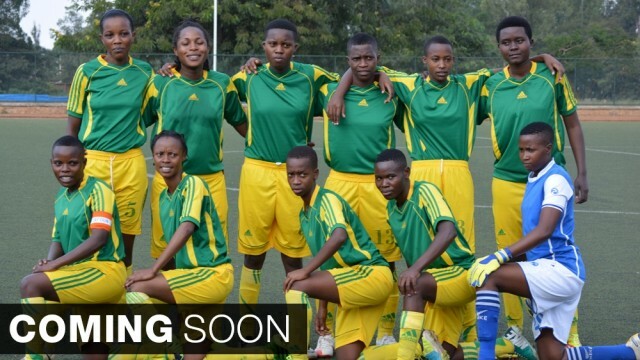 Rwemalika’s project, AKWOS (the Association of Kigali Women in Sports), is about more than just football: in a country where only 15 percent of girls attend secondary school, it has allowed women to continue their education. It gives women and girls a safe space to meet and talk and has had a huge impact on their confidence. Others have grouped together to start farming and other co-operatives and are now earning a significant income for the first time. And the evidence shows that once women control the household spend, they invest far more of it than men do in their children, driving economic growth. We follow Rwemalika and head coach Grace Nyinawumuntu as they travel to the town of Kashanga to persuade the women there to start a team and a local primary school to encourage the girls to play. And we see how a simple football game has the power to empower women, impact different communities and these benefits in turn have spread out across the country. ‘Scorecard Rwanda’ can be seen on Al Jazeera English from October 3 at 2230GMT. The post Scorecard Rwanda appeared first on African Media Agency.